Other photos: Salon, Salon, Salon, Salon, Salon, Salon, Dinette, Helm, Helm, Helm, Helm, Helm, Stairs to Flybridge, Galley, Galley, Laundry Center, Master Stateroom, Master Stateroom, Master Stateroom, Master Stateroom, Master Stateroom, Master Stateroom, Master Stateroom Head, Master Stateroom Head, Master Stateroom Head, Master Stateroom Head, Master Stateroom Head, Guest Stateroom, Guest Stateroom, Guest Stateroom Head, VIP Stateroom, Forward, VIP Stateroom, Forward, VIP Stateroom, Forward, VIP Stateroom Head, VIP Stateroom Head, Crew Stateroom, Crew Stateroom, Crew Stateroom Head, Crew Stateroom Head, Aft Deck, Aft Deck, Aft Deck, Swim Platform, Transom, Swim Platform, Stairs to Flybridge, Flybridge, Flybridge, Flybridge, Flybridge, Flybridge, Flybridge, Upper Helm, Upper Helm, Upper Helm, Upper Helm, Upper Helm, Tender, Flybridge Stairs to Aft Deck, Photo 60, Bow, Bow, Bow, Bow, Bow, Photo 66, Engine Room, Engine Room, Engine Room, Engine Room, Engine Room, Engine Room, Engine Room, Engine Room, Engine Room, Engine Room, Sirocco, Sirocco, Sirocco, Sirocco, Sirocco, Sirocco, Sirocco, Sirocco, Sirocco, Sirocco, Sirocco, Sirocco, Sirocco, Sirocco, Sirocco, Sirocco. 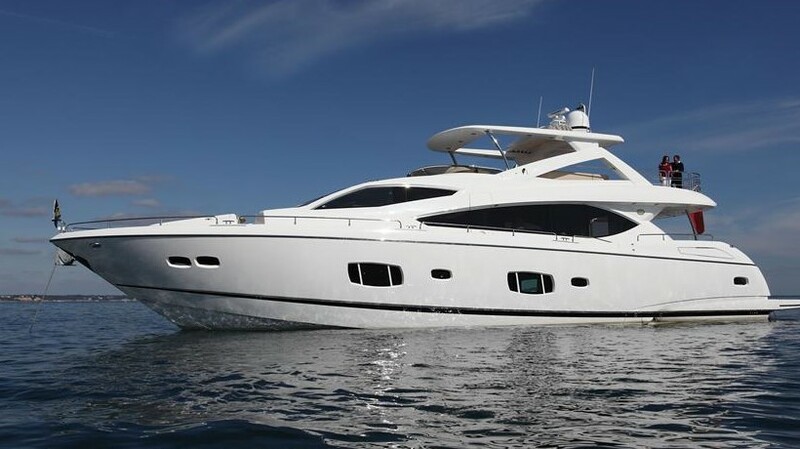 Sirocco, 2001 SUNSEEKER MANHATTAN 84', is a one owner, one captain yacht. She is conveniently located in Fort Lauderdale and very easy to see. She is priced to sell and the owner will consider all reasonable offers. Call today to schedule a time to see this 2001 SUNSEEKER MANHATTAN 84' for yourself.